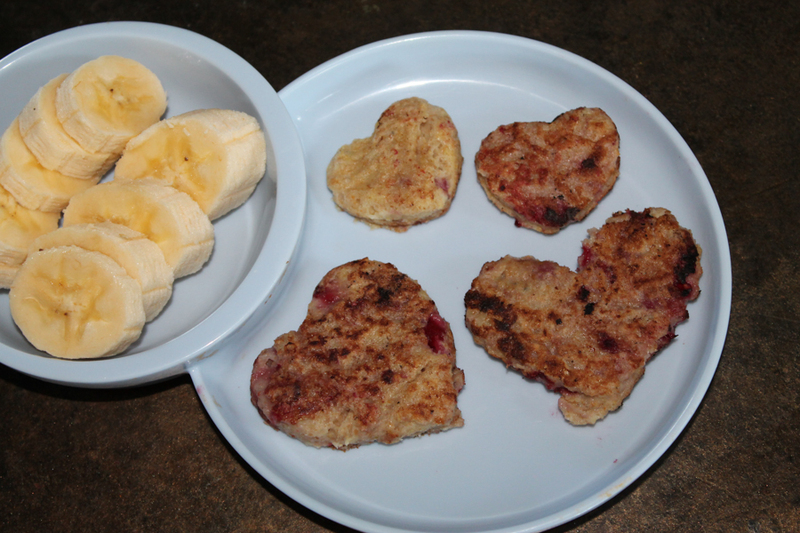 Perfect for Valentine’s Day or any day cause it’s fun to eat pancakes cut into cute shapes 🙂 Even better, how about a healthy pancake recipe? 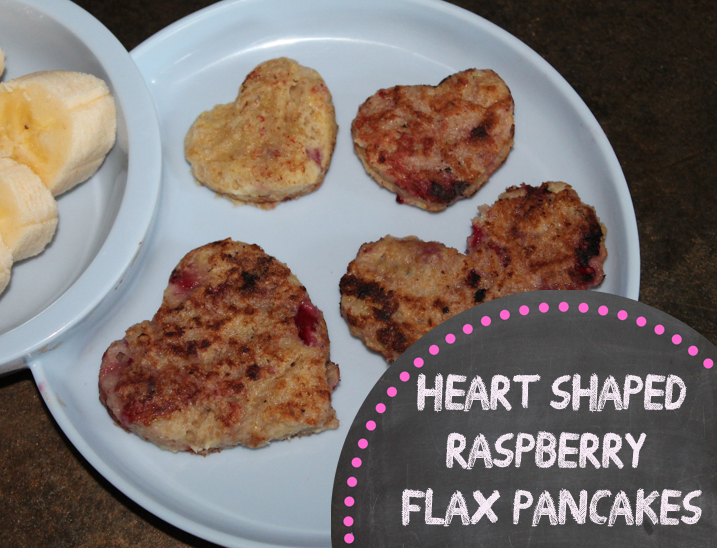 In this recipe that I created I load it with yummy raspberries, flax and quinoa. It is definitely a favorite breakfast around our house! 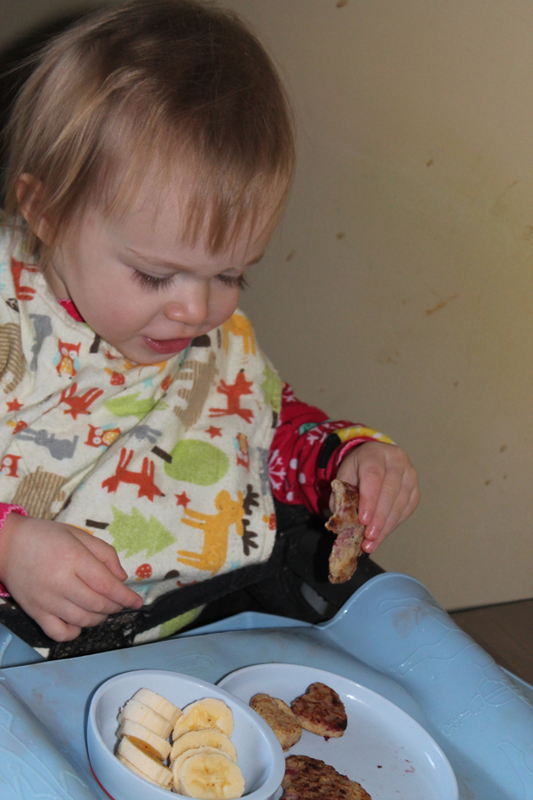 A couple tips: both my daughter and I love raspberries so I load these pancakes up with them. I buy a big bag of frozen organic raspberries from Costco. They don’t always carry them but when they do I stock up! Also found at Costco: a big bag of Organic Ground Flax. Highly recommend this stuff, and I add it into everything! 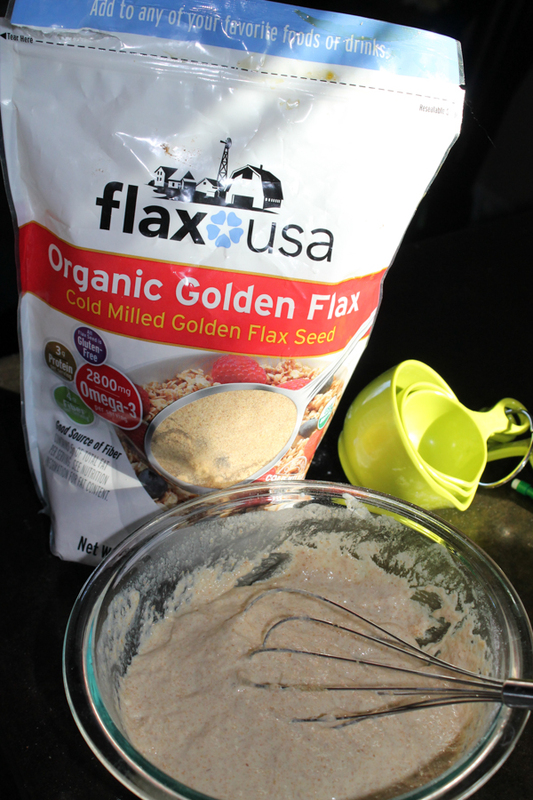 Make sure you keep your flax in the fridge once opened, it will keep it much fresher. If you like syrup with your pancakes but are looking for a healthier option (or a low sodium option) try using Agave Syrup. Since we discovered it has 0 sodium in it, it has been a staple in our house. My husband is on a Doctor’s ordered low sodium diet so we read labels on everything now. We use agave syrup in all our baking now, and not only does it contain no sodium but it has a low GI (glycemic index) which means it won’t cause a spike in your blood sugar levels. It’s derived from a plant and has many other health benefits as well. 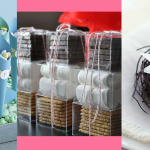 The best part – it’s very tasty and makes for a wonderful pancake syrup! 3/4 cup raspberries (or more if you like them loaded like I do!). 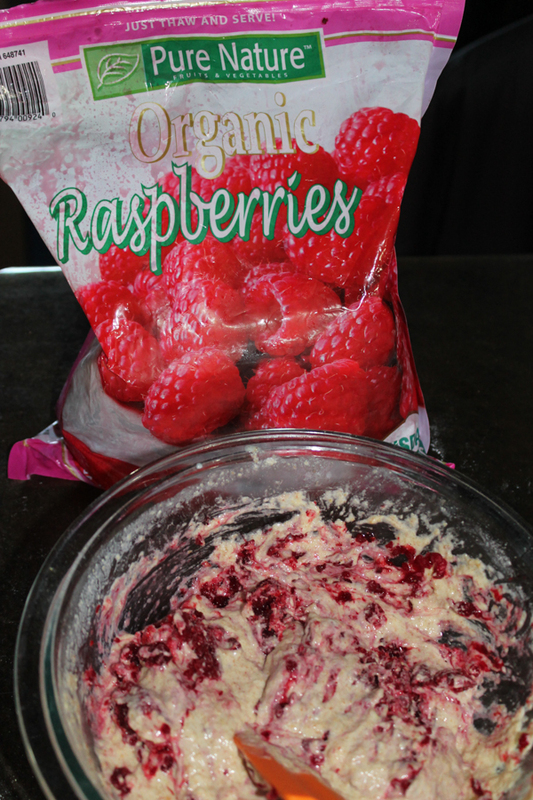 I use frozen berries and I chop them before adding to the batter. Mix the egg and milk together in medium bowl. Add flour, baking powder and flax and mix batter until smooth. It it’s too thick, add a bit more milk until you get it to the right consistency. Add raspberries last and mix until coated. 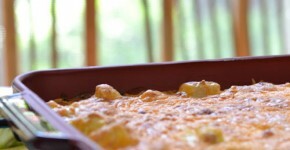 Drop large spoonfuls of batter onto heated skillet (spray with oil first) and cook until both sides are lightly browned. Smaller pancakes cook much better!